Consisting of outtakes and deleted material (previously only available to forum members) out of Podcast On Fire 53, 56 and 57 with Stoo, Kenny B, John Kreng, James Aylmore, Paul Loudon and Mike Banner from 2009, this collection feature tangents and outtakes involving John dropping inspiration, some foul language that Ken requested, last movies watched involves Ip Man and dramatic turns from Chingmy Yau. The gang also talks beloved Korean cinema and Mike Banner looks forward to the then pending Ong Bak 2 on the big screen. Consisting of outtakes and deleted material (previously only available to forum members) out of Podcast On Fire 37, 39 (which became Japan On Fire 1), 40 and 41 from 2009 with Stoo, Kenny B and Mike Banner, this collection feature tangents and outtakes concerning last movies watched (including Chocolate, A Man Called Tiger and its home video complexity), bad Jackie Chan merchandise, flying guillotines and Ken chimes in with an underrated movie. Consisting of outtakes and deleted material (previously only available to forum members) out of Podcast On Fire 26 (available in the Cast From The Past archive) from 2008 with Stoo, Kenny B and Mike Banner, this collection feature tangents and outtakes on the bizarre production problems on Tony Jaa’s Ong Bak 2 mainly. CLICK HERE to see Stoo’s announcement post-show. Ah…. it’s always oh so lovely when it’s The Magnificent Trio on air again! So welcome back Mike Banner to the Podcast On Fire Network! 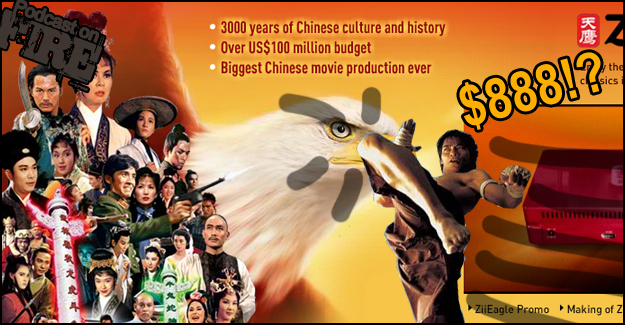 Also, we know the following questions are continually hovering inside and around people’s heads so we thought we’d answer them: Is Yuen Biao Better than Sammo and Jackie, how is Tony Jaa, where is Edison Chen and what is the ZiiEagle? Pardon the sound quality of the show (this stuff was all too good to lose), in particular from Ken’s end and do note Stoo switches to his iPhone 30 mins into the show so that’s why his sound quality worsens. 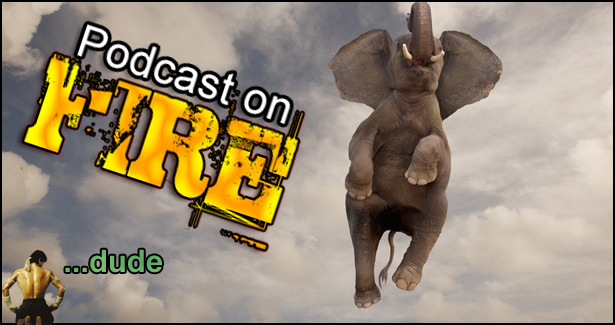 Contact us at podcastonfire at googlemail.com, via our forum, Facebook or Twitter. We’re a friendly bunch and especially watch the forums for exclusive content and announcements! Ong Bak 3 DVD w/English Subtitles! 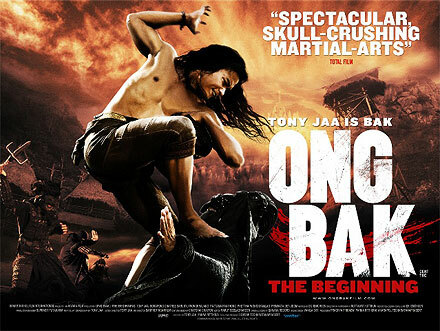 Asia On Film are now stocking the third installment of Tony Jaa’s Ong Bak trilogy. The Region 3 DVD is priced at £19.99 with free postage. The DVD includes several special features (don’t expect the special features being subbed); Audio Commetary, Cast & Director interviews, Trailers, Symopsis and a Making Of featurette. Order your copy today and find out how it all ends! Plot: Tien (Tony Jaa) is the son of a noble lord in medieval Thailand, after fleeing an attack on his family he is captured by slave traders and they force him to fight for his life against a blood thirsty crocodile. Tien is saved by an elite group of bandits, who take him under their wing and teaches him how to use various weapons and martial arts styles from the east.